Once the clay lamps are illuminated, the festive night morphs into sound and fury. If you are from the hub of fireworks, you would know the sweat and tensions behind that one celebratory night. Starting from the production to the delivery, one has to look into the legislation before drawing the business needs. But have you ever thought of multiplying your profits without these *terms and conditions*? With the crackers remaining real and intact, your business is getting the digital makeover. Not one, there are numerous acts put into regulation by government to make our festival a safe one. 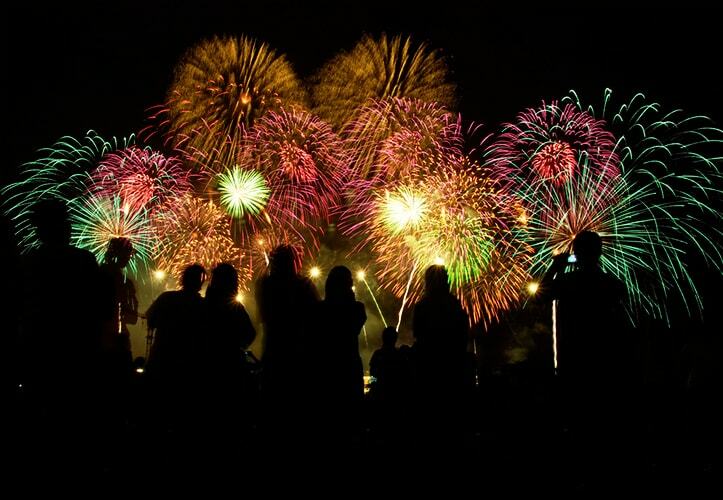 The Explosives Act 1884 & 2008 has the set of rules for the storage, public display and sale of fireworks. After the sad tragedies, there is a reduction in the quantity of gunpowder storage to a very small level in TN & Bihar. A new set of license categories are devised for each domain like storage, sale, public display, and transport. Yeah! you ought to receive the license within 7 days ahead. have a distance of 3m between the sheds. It is a restriction to locate your store near domestic buildings, schools, residential areas, etc. It is already hard enough to get a place inside the city satisfying the rules and you have to pay a huge sum for rent. The temporary license needs renewing on time regularly and for a permanent one several “No Objection Certificates” is essential from Police and Fire department. Well, one can say, it is for the safety of the civilians and employees, but as years rolled, the acts became serious and verdicts stronger. The only transport your crackers should do is to online for the entire lifetime. When your shops become an online store, you can press the delete button to the license and acts. There is more room for your investment because you don’t have to pay the annual lease anymore for your store. The eCrackers is in one’s palm, yet stays safe. It is going to excite your customers when they know you are never closing your online store. For the overseas NRI’s, they would love the 24*7 accessibility to send in gift boxes to their kiths & kin at hometowns. All that clicks are converted into your profits. CBS reported that mobile app will increase the sales 20% than the previous year. For the right now shoppers, they like to get done things quicker and convenient. 70% of the shoppers and brands have moved to mobile applications. Google reminds us of their renowned statement “Every micro-moment is won by a better mobile strategy” owning a mobile app is a strategic move in the e-commerce business. 1. Set up early deals for the Diwali and other festive occasions. 2. Marketing and sales governed on one platform. 3. Expansion of the business and growth with limited resources. When your customer clicks and opens the website they land on the page with high expectations. A “landing page” is your first chance to make a good impression. Customers should be able to find what they are looking for in three clicks or less. Multimedia Experience: Shoppers want to see multiple angles and views. Imperfect pictures & poor quality videos will drop consumer rate 39% down according to adobe. Mobile friendly website: To avoid suffering SEO consequences, websites require mobile-friendly version. One in three online purchases is via Smartphone. A responsive website with an intuitive content will make your website user-friendly to whatever device is accessing it. Secured Payment gateway: Online payment should be trusted mode to your customers. SSL is a standard security between the servers and secures your customer’s details. At a time, using online payment method multiple sales are made and paid. International cards are also accepted in multiple payment option. Jump start your business using digital marketing. It is more of art and little of science. Successful marketing is established in a data-driven environment. Customer data- collecting insights, analyzing interests & focusing the feedbacks is the behavior. When used correctly, behavior switches to opportunities.Digital marketing core aim is to take your store around the globe-wider customer reach. A defined marketing strategy can bring in a bunch of benefits and lots of good fortunes. The maximum your marketing reaches more the customers and more the orders. To make it specific to firecrackers, consider the Indians outside the country, celebrating Diwali in a foreign land, they can send in gift boxes to their families by just clicking items from your store. We are Indians, who love to take care and be cared for the family. The brick and mortar store needs too many shelves to stack the files and too much paper to file the records. And every month end or yearend you might dust them to do reports and analysis. The more the files, the more the work else you can simply escape the pain by moving to online. The administration is automated and you can check whenever you want from any device. “The eCrackers digital manager is the only PA you will need ever”. Inventory linked sales: When you have stacked all the fireworks in the warehouse and when the first sale makes its way through the door, your inventory will be updated automatically. Every time you don’t have to keep a watch on the entry notebook. Logistic Modules: The customer places the order in a couple of clicks, but the product delivery is not as simple as that. But your personal online manager will make it effortless by tracking the product till it reaches to the hands of the customer, including the details of transporting vehicle and their sheds. Website outlines: A refined website comes out from an organized methodology. The pictures and videos of the crackers loads in matter of seconds. The right and necessary description about the crackers say like brand name, size and the quantity will be marked. Order form with the summary of name and address, invoice, LR copy will be automatically sent to the customer email and mobile. Also gets updated in your database. Our e-commerce solutions to all kinds of business are not the regular boring online stores. We have the latest web & app development practices to stand out from the herd. When we say latest, they are not just new technologies; it is a new approach by our expertise teams. We take pride ourselves in telling that, our honest and ethical approach has made us to be the largest fireworks e-commerce manufacturers.